Hi everyone! It's Traci, from Artsy Albums, back to share a new project with you. 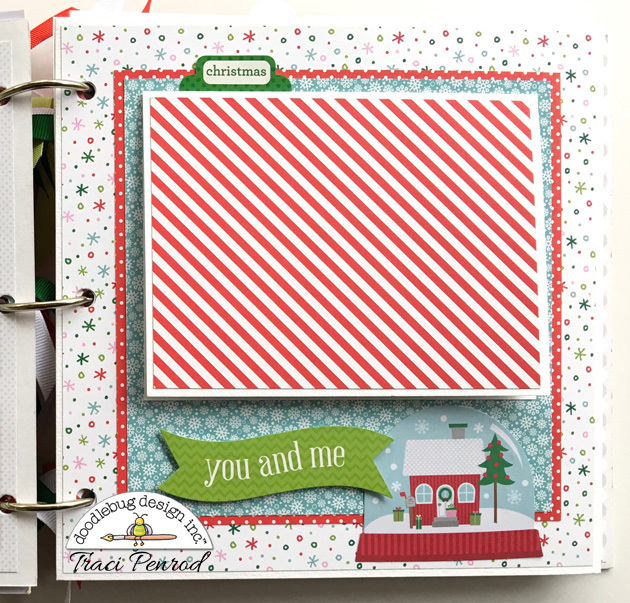 I created a mini album that will make a wonderful gift for family or friends this Christmas! 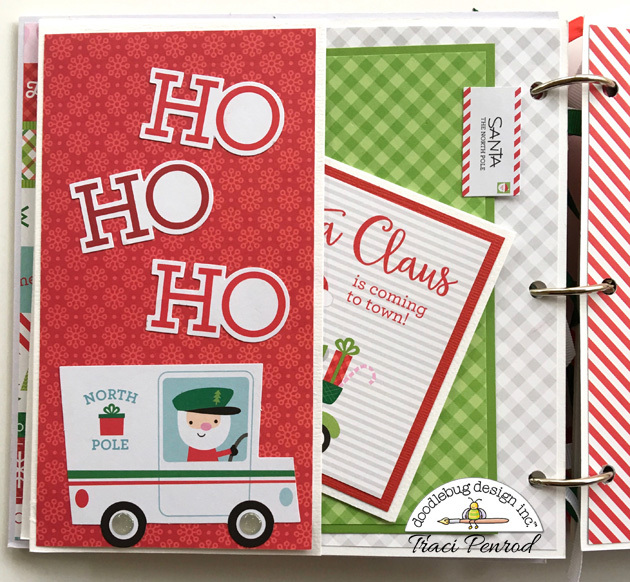 I used the new Here Comes Santa collection. 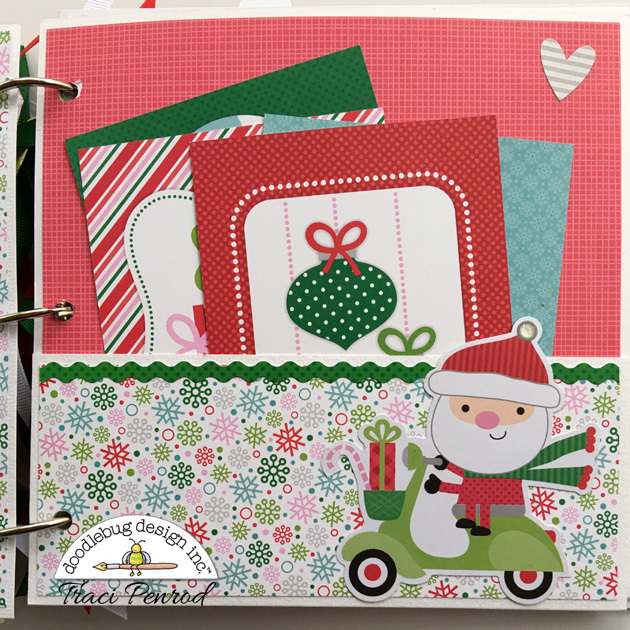 It's super cute with bright reds and greens and adorable Santas and reindeer. I made the album 8"x 8" so that lots of special memories can be tucked inside. Aren't the new Odds & Ends die cuts just the cutest?? I just love their size for mini albums. I added some cute silver glitter sprinkles to the wheels, although the picture doesn't show all of the sparkle they add to the page. I also love the pops of light blue and pink in the papers -- my Christmas pictures will match no matter what color everyone is wearing! I tucked some 4x6 cards into a pocket page and will add photos to the back of these. Other products I used in this album were: 12x12 Collection Kit 6x6 Paper pad 12x12 Petite Prints Assortment Ladybug Chunky Twine Lily White Card stock If you are interested in making one of these albums for a gift this year, a limited number of pre-cut album kits will be available in my Artsy Albums shop. You can visit my blog today for details on the kits. 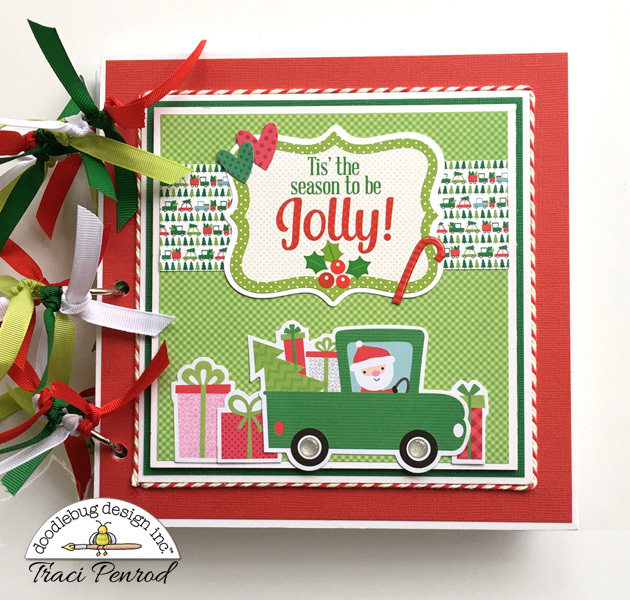 Have fun creating gifts this season! Homemade presents are always well received! 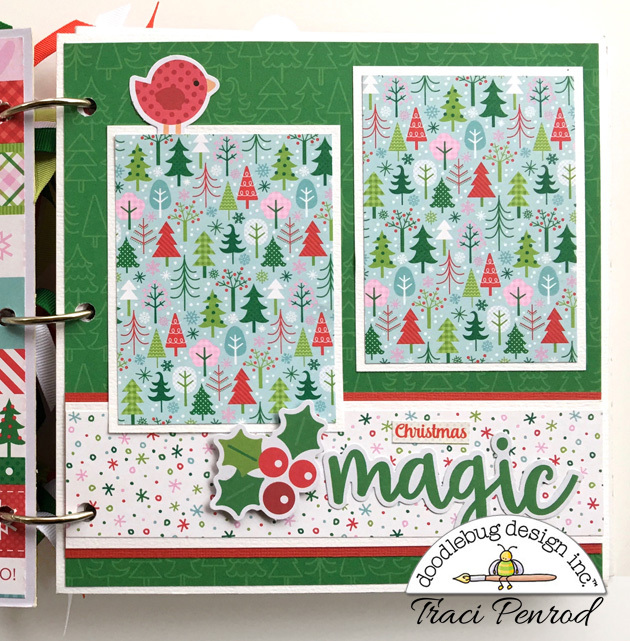 I just LOVE this mini album, Traci!